0.1 BABCOCK UNIVERSITY CONVERSION FORM IS OUT: We Wish to inform all interested candidates that wants to Convert From HND To B.Sc that the conversion program admission form of Babcock University for the 2018/2019 Academic Session Is now on sale. 1 All Necessary Information About Conversion Program Admission 2018/2019 Session. 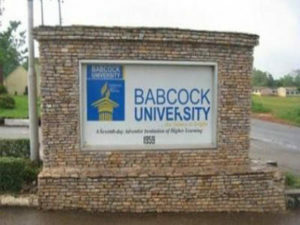 BABCOCK UNIVERSITY CONVERSION FORM IS OUT: We Wish to inform all interested candidates that wants to Convert From HND To B.Sc that the conversion program admission form of Babcock University for the 2018/2019 Academic Session Is now on sale. The Management of Babcock University wish to invite all suitably qualified candidates that wish to purchase the Conversion program admission form, From Higher National Diploma (HND) To Bachelor in Science (B.Sc) 2018/2019 Session that the form is now on sale. All Necessary Information About Conversion Program Admission 2018/2019 Session.